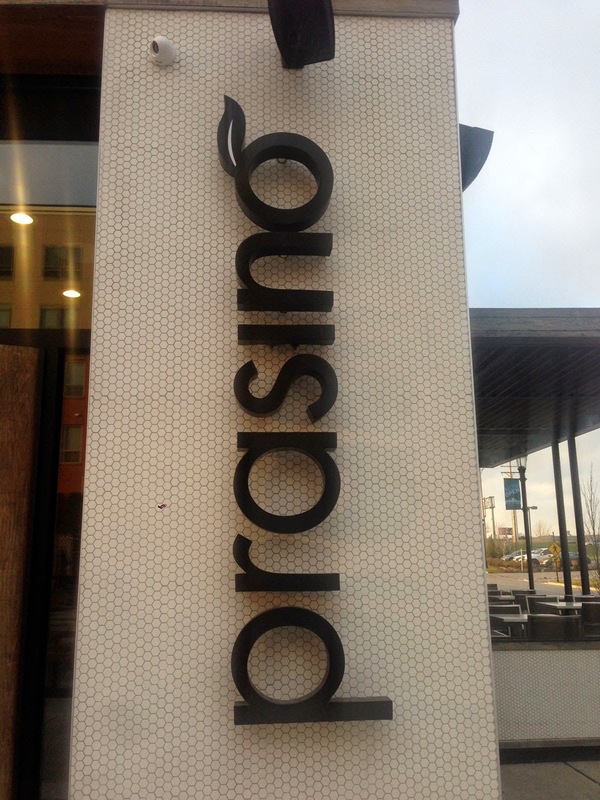 Prasino is located at 1520 S 5th St, Ste 110, St Louis, MO 53303 in St Charles on the end of a community development. 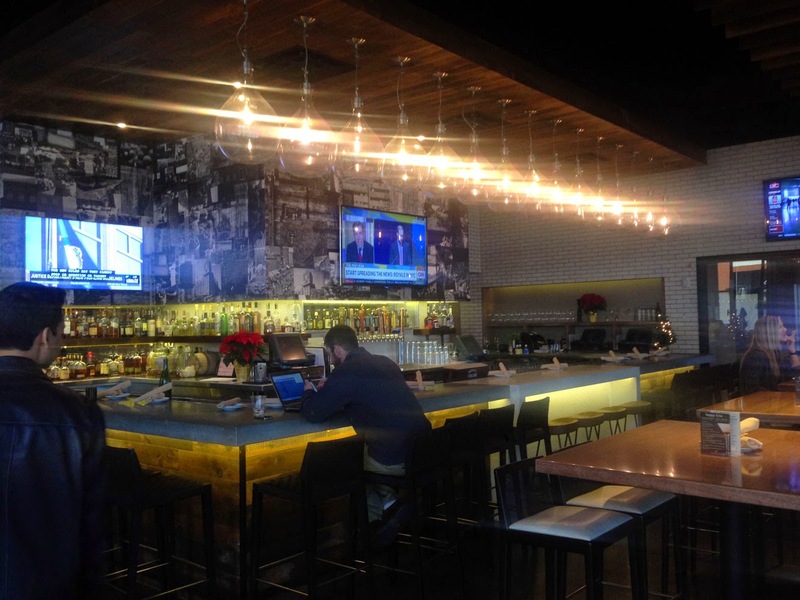 This small restaurant features a well stocked wine and craft beer selection and is beautifully designed using post-industrial modern and loft elements with high-end furnishings and finishes. The lighting over the expansive fully stocked bar is spectacular, sporting over-sized globes that harken old-fashioned exposed, hanging bulbs. Overall the space is large with high ceilings and great expanses of glass. I could see it being a well-occupied late night space for casual to serious craft beer and wine fans. 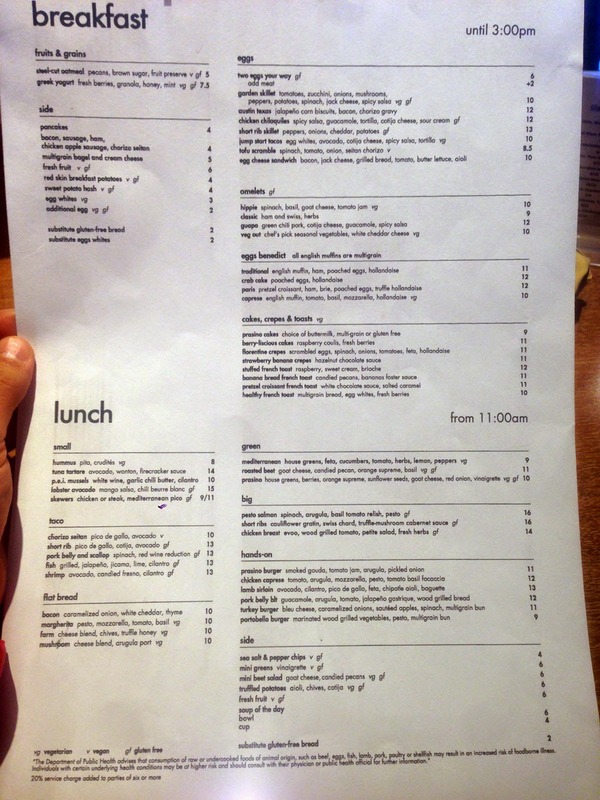 Having just hit St Louis on business my team did a quick search for a great lunch spot on Yelp and boy did it deliver. 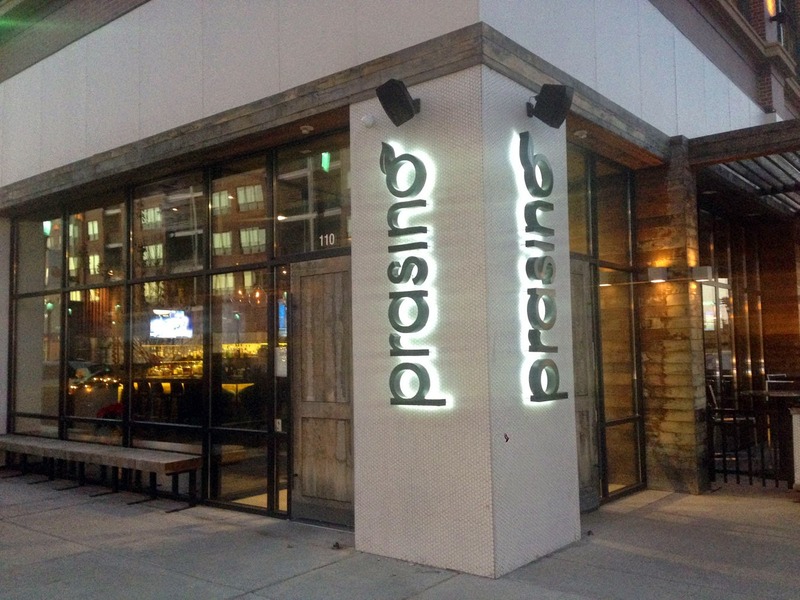 Prasino well deserves the solid 4 stars awarded, based on our overall experience, the food and the great service. We arrived shortly before the dinner crowd and were seated immediately. 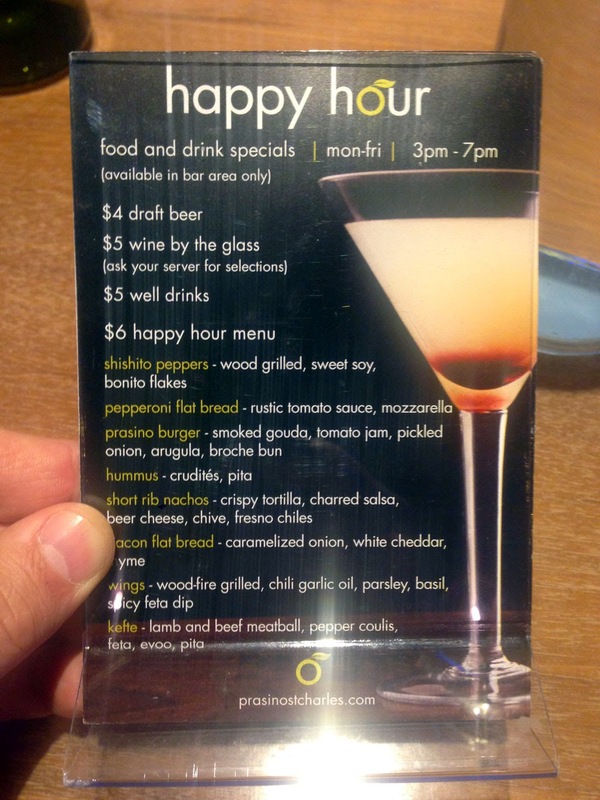 We were then pointed to the Happy Hour specials and were happily tempted to order one of the great $4 draft selections, for food we mostly selected items off the regular menu. 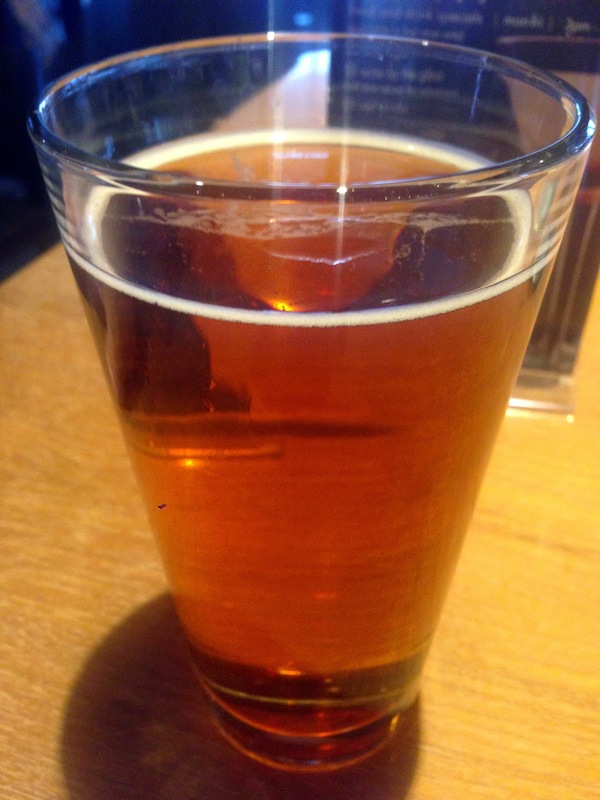 Wanting to sample the local craft, I had a very nice 4 Hands Resurrection IPA. It had great body, hoppy snap and great hints of citrus. 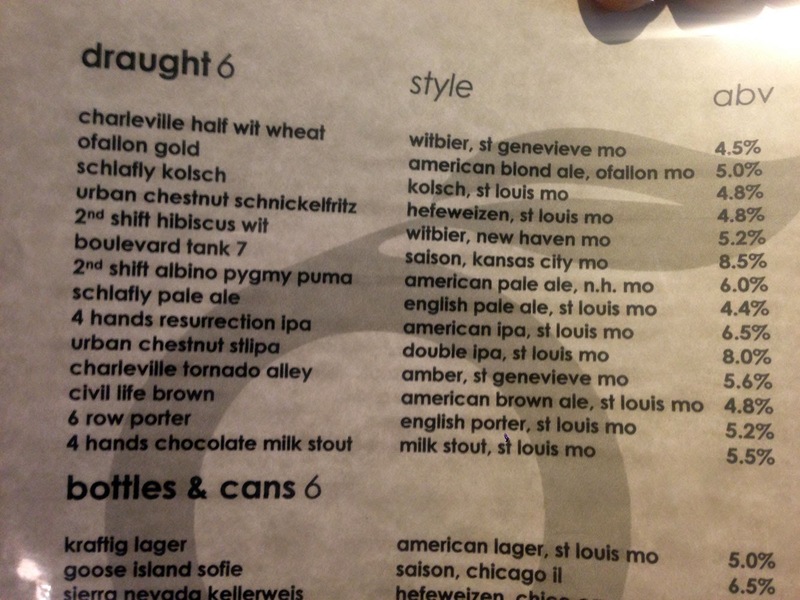 Actually I was accidentally told this was included in the $4 drafts when it wasn't on the list, then given it at that price anyway. Love that! Turkey Burger with Seasonal Veggies - we subbed ground turkey for the special Prasino Burger - smoked gouda, tomato jam, pickled onion, arugula and whole wheat. 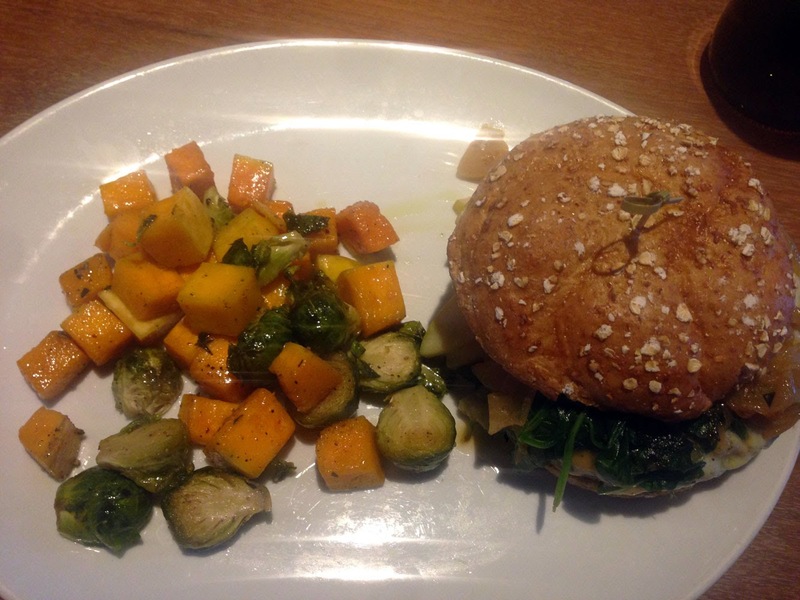 This came with a great side of roasted veggies made up of brussel sprouts and squash. 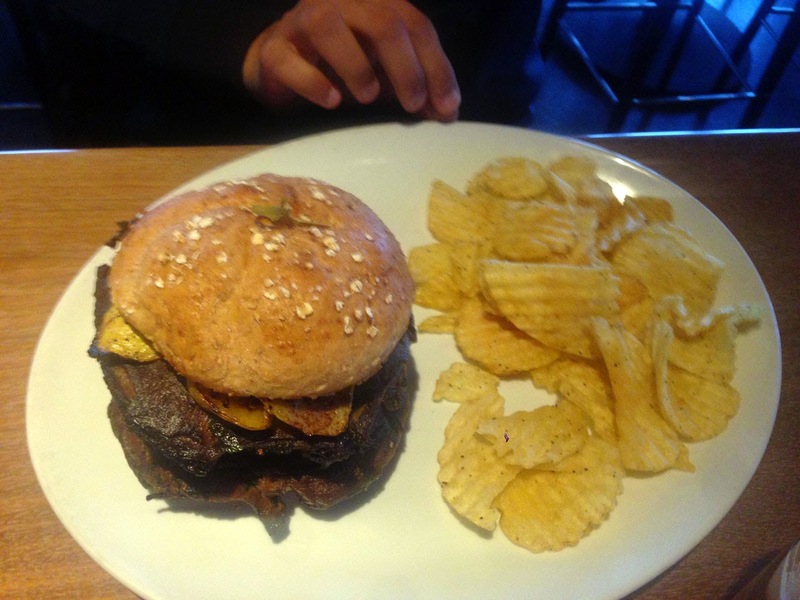 The burger was cooked perfectly with a tender interior and crusty, seasoned exterior. 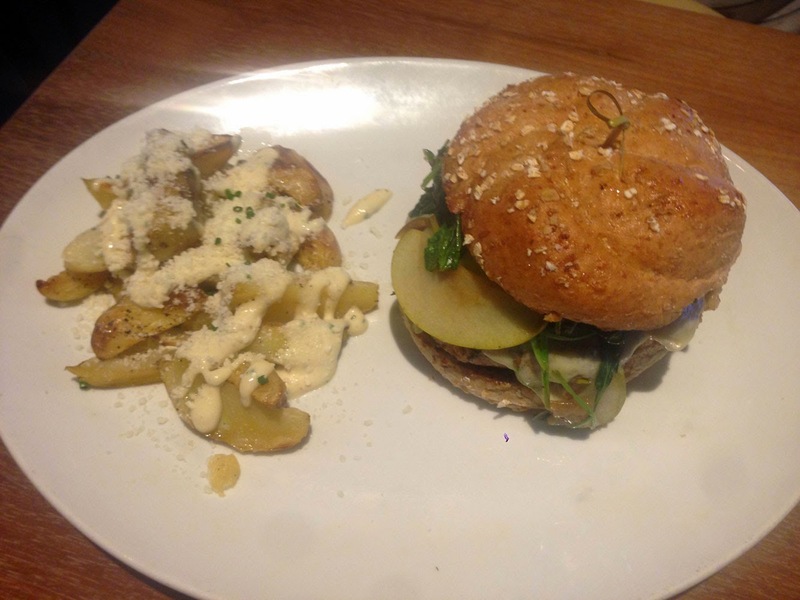 Turkey Burger with Truffled Potatoes - The other Prasino Burger came with truffled potatoes - the sauce was delicious. Portabello Burger with Sea Salt Chips - little did my vegetarian partner know how close this portabello burger came to tasking like meat. I could eat this all day. Between the bartender and the waiter, service was well above average and as a bonus, while clearing the table the waiter knocked over my water glass so my meal was comped. Prasino has class and knows how to treat its customers. I could see myself making Prasino a regular hangout - too bad I'm 550 miles away!